Root Stimulator by B.A.C gives your plants a powerful root system from which they can grow strong and healthy. They will be completely nourished thanks to their large root mass. Root Stimulator by BAC is a root stimulator that will give your plants a powerful root system so they can grow strong and healthy, and so that they can absorb a massive amount of nutrients. This translates into greater vegetative growth in the early stages of life and flowering. 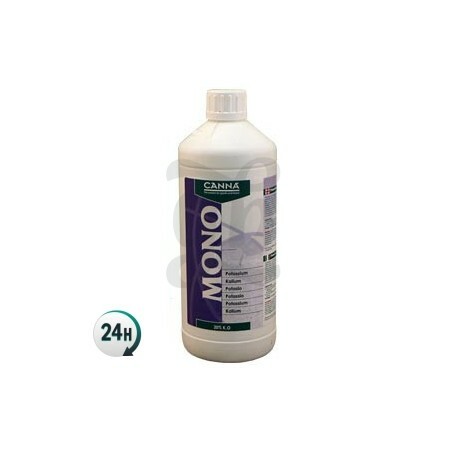 You should always use this additive in combination with a nutrient base that will provide the necessary nutrients so that your plants can develop properly. For the best results, it is recommended to use in combination with the BAC fertilizers range. Root Stimulator's concentrated ingredients will help by allowing nutrients to move more freely around your plants, increasing the capacity for nutrient assimilation, resulting in an overall increase in the growth rate of your crops. BAC Root Stimulator ensures that your plants will have a healthy and comfortable life; the roots are the foundation of your plant, and if they aren’t healthy then your plants most likely won’t be either. That is why you need to use the root stimulator in the first 3 weeks of vegetative growth, and in the first week of flowering. In addition, you should add it to your nutrient mix whenever you irrigate after transplanting them. Root Stimulator will provide your plants with strong, healthy roots that will be full of absorbent hairs, which will absorb an enormous amount of nutrients and therefore create a much better yield. Add 1 to 2 ml of Root Stimulator Bac for every 10L of water, along with the other fertilizers that are scheduled for that week.